Springs are ecosystems that occur where groundwater reaches the Earth’s surface. Springs are generally small but are significant hotspots of biological and cultural diversity. In this talk, we will explore the great diversity of life forms that occupy Arizona springs, including rare plants, strange insects, and the remarkable group of Arizona fish, reptiles, birds, and mammals that dwell at springs. Living and preserved specimens will help illustrate the life of Arizona’s springs. This presentation will provide information about the natural history of, and will aid in understanding and improved management of springs. 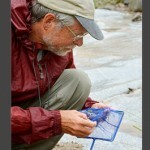 Larry Stevens has studied the ecology of springs and desert waters in Arizona for the past 45 years. 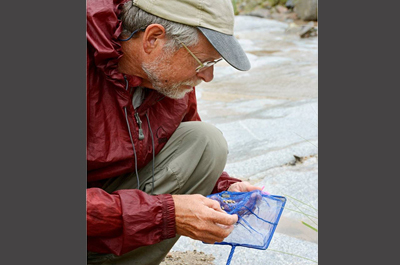 As director of the Springs Stewardship Institute of the Museum of Northern Arizona in Flagstaff, he has developed a compelling narrative for all age groups on springs life and cultural values in Arizona. His focus is to improve public understanding and care of springs ecosystems throughout the state.